Wine and canapés will be served on Friday evening for the gala event. 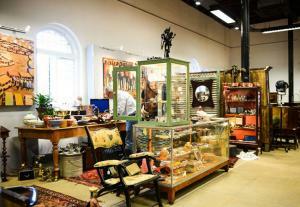 For the rest of the time, soup, sandwiches, coffee and cake will be available to the antique fans. Families are sure to enjoy exploring this treasure trove together. All of the proceeds raised by this fair are donated to SARDA, which was established in 1973 with the aim of providing therapeutic and recreational horse riding to people with disabilities. Interacting with horses has been proven to have positive effects on the physical, mental and emotional well-being of folk. SARDA focuses on teaching disabled people to ride horses on their own, giving them the greatest amount of independence possible. In addition to the physical benefit, this leads to a better sense of self-worth, a higher self-esteem and a feeling of belonging with other riders. The SARDA Antique Fair, Open Gardens, and monthly car boot sales at the Brommersvlei Road venue contribute to these excellent initiatives. R60 per adult (Friday) and R30 per person (Saturday and Sunday). Tickets available at the door.